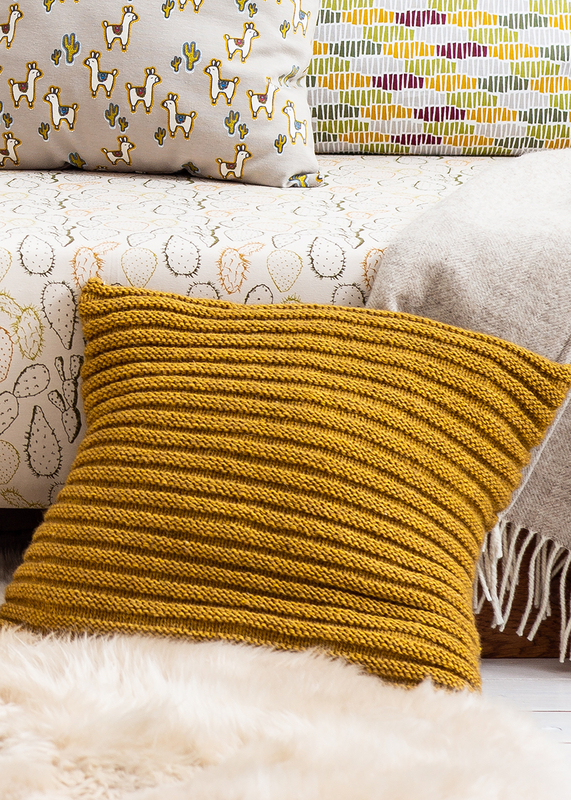 It´s time to add some glamour to your couch! This pillow (size 40x40 cm/16" x 16") features an elegant golden color and a textured pattern worked with knit and purl stitches. It is knit as a large rectangle, then folded to overlap and sewn together. Thanks to the hotel closure, it is easy to change the inserted pillow. Alpaca Classico is available in more than 20 great shades – this is a quick knit using needle size 5 (US 8). A great project fit for beginners to add to your home decor.